KiEV, JSantala, this is a great find. 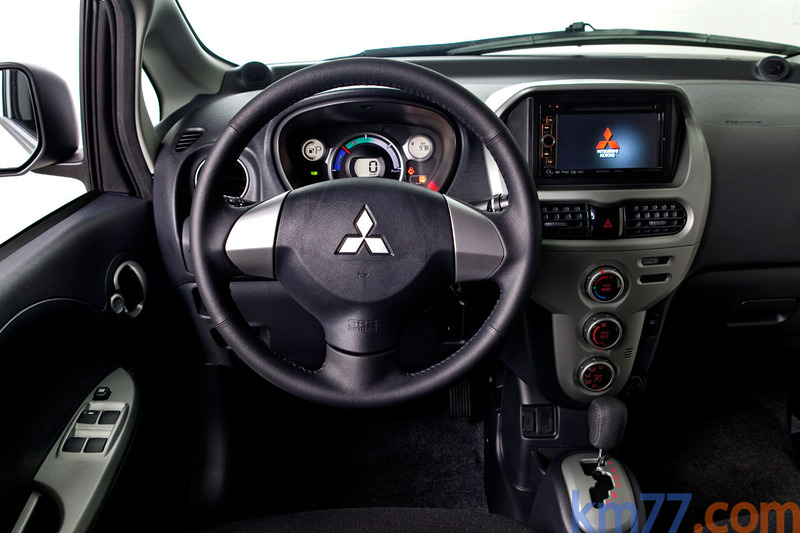 Now i-MiEV/iOn/C-Zero owners can modify the behavior of the shifter to better suit their preferences and add some additional functionality. For the amount of shifting I do between ECO and N, I'm tempted to switch D and ECO, but the stock D, ECO, B setup is nice in that regen progressively increases, the same as shifting down an ICE transmission. So I guess in my PRNDBC order the regen doesn't increase quite the same way as it does for your PRNDEB - for you it increases on every step, for me it increases from D->B, but then goes back down and even further with B->C. So my C is your Eco, basically, and the order is different. Interesting that they did this and are there actually any vehicles out there with PRNDBC available from factory? What I *really* wish we had was a steering wheel paddle which would engage max regen whenever you pulled it, like the new 2016 Volt and a couple other cars have - THAT would be a major upgrade!! What I would really like is do is add a three position rocker switch on to the shifting knob that I could toggle into neutral or breaking mode without moving the shifter I think this would decrease the wear and tear on the shift knob and also quickly allow you to kind of do a classic pulse and glide technique by putting the car into neutral with a rocker switch. I'm thinking that the rocker switch would be spring loaded and always return back to the middle position where it would do nothing. In traffic you could go from coast to E to B in a couple of clicks to get the progressive regen. You would need to add a little throttle to get the D mode regen. But I'm usually always in E mode except on the highway. When I need quick power I drop into B. For me a rocker switch would make sense and keep the car intact. If i switch around the positions I would have to re-learn and re-train reactions that I have burned into my brain over the past three years. I think a switch would be a cool addition. I suppose you could accomplish this by routing the wires thru the rocker switch. If it had multiple contacts you could perhaps do this. I dont know if the ecu would be upset if it saw the car in E mode and in N at the same time. Perhaps it checks for things like this and throws a fault. It would be interesting to find out. I got a quote for 2420A081XB "PANEL,A/T SHIFT INDICA" at a local Mitsubishi dealer for 107€. Ouch. Mitsubishi has one in Holland. Couple of days to deliver. Pretty pricey. I'll have to think about this and/or look for a used part. It might have Eco and B instead of B and C, but still much prettier than no cover. I've really missed a low regen "C" position and actually it has been there all along. Oh well, I suppose it's better now than never. 2. but the regen level varies from greatest to least, BDC. Now i'm curious about how the levels of acceleration are varied for us with DEB and not so for you with DBC. i wonder if it is just your car not having this since it was sold with only D? or if this is true for EU cars sold with DCB? jsantala wrote: Or do the European i-MiEVs have PRNDBC as well? Interesting indeed. We'd need input from a European i-MiEV driver on how the DBC are programmed on those. My guess is they'll be identical to my C-Zero. Actually, if you think about it, the PRNDBC setup probably is the original one from Japan, which they brought to Europe and then PSA decided to leave B-C out on Citroën C-Zero and Peugeot iOn. When the i-MiEV crossed the pond, they likely decided to change it for North America, from B-C to Eco and B, also altering the programming to have less power.